Closed Circuit Television (CCTV) has been around for many years and uses security cameras to feed images to a centralized location or security room. CCTV has evolved into reliable security platforms that can track motion, provide high-definition images, capture minute images in full color, provides images in the dark with night vision, and much more. CCTV cameras utilize digital video recorders (DVRs) to store videos and images providing high quality monitoring. CCTV can also use IP (Internet Protocol) to send digital images to specified networks such as your computer, cell phone, or security room location. CCTV is very popular for commercial applications such as banks, airports, malls, and other high traffic areas. However, this does not mean that your home cannot benefit from CCTV security. Whether your home is small or large, Veteran Owned Locksmith can assess your needs, identify blind spots around your home inside and out, recommend the best CCTV System for your needs and budget, and your system is installed by licensed professionals. 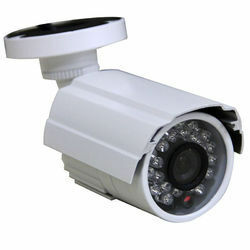 The best application of CCTV is the presence of the cameras and potential intruder's awareness of the system in place. An offender must make a decision if the potential risk of being video recorded is worth the rewards of the intended crime. CCTV will increase the perceived risk of any potential intruder (if within his or her rational mind) and reduce the motivation to continue with wrongful intentions. Surveillance changes behavior and your home is the one place where you find comfort which should never be put at risk. Call Veteran Owned Locksmith today and find out why we are your Home Break-In Specialists™. Veteran Owned Locksmith, LLC only uses professionally licensed installers for CCTV Systems. All required paperwork, licenses, or other documentation needed to perform the scope of work will be submitted to the customer prior to service. Access control can be affordable and reliable for residential property and offer security that you would normally think is just for businesses. A simple solution for the home are digital locks which give the home owner flexibility and control through the use of their smart phone or tablet. Other options for the home include intercom systems, LED peep hole viewers, biometric locks, and gate access control. Your home should be protected from unwanted intrusion and access control with CCTV is the right combination to insure your families safety.